A large used car inventory and auto financing are just a few of the reasons why we are the used car dealers Phoenix, AZ residents trust. Visit us today! 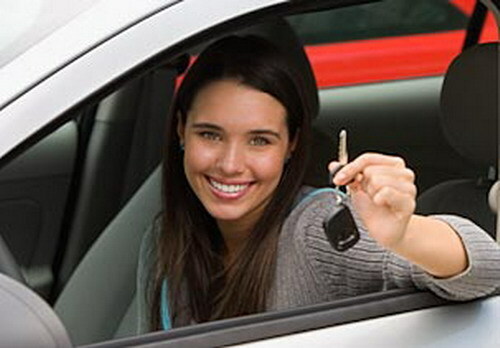 We know that buying a vehicle can be quite the undertaking. We know this because we help our customers do it every day. We understand what is important to you when buying a used vehicle and we try to make the process one that is easy and enjoyable. There’s a reason why we’re considered one of the best used car dealers in Phoenix, AZ. There are many used car dealerships in Phoenix, AZ to choose from, so why choose us? We’ll give you five reasons why you should! 1. Convenient Locations – We have a variety of convenient locations throughout the greater Phoenix, Arizona area. Come visit us in Phoenix, South Phoenix, Mesa, Chandler, Glendale and Avondale. You don’t have to travel far to find an affordable used car. 2. Large Inventory – There is no shortage of options at Auto Action. Whether you’re looking for a small commuter sedan, a large family van or SUV, or a rugged work truck, Auto Action has a huge inventory of used vehicles that we offer at reasonable, low prices. Shop our inventory on our website or come visit your local Phoenix used car dealers and walk the lot with us. 3. Great Financing – We provide our customers with a simple loan approval process, we offer buy here pay here loans for our customers’ convenience, there is no set down payment and are determined by our customers’ individual situation, and we can finance just about any credit situation – whether good credit or bad credit. We make buying used cars painless for our customers! 4. Rebates & Incentives – We pride ourselves on going the extra mile for our customers by offering rebates and incentives. We offer our AA Advantage Program which is a worry free limited warranty with 12 month/12,000 mile vehicle coverage, one year free oil changes, and Total Loss Protection to name just a few of our customers’ perks. 5. Impeccable Customer Service – The reason most people keep coming back and purchasing vehicles at Auto Action isn’t just all of the great benefits listed above, it’s the service that we offer. Don’t let us tell you, check out our customer reviews and see for yourself! Buy from us, the used car dealers Phoenix, AZ residents trust. Auto Action, the experts for cars and credit, is one of many used car dealerships in AZ, but we are highly regarded for our great used vehicle prices, great customer service, and helpful financial services we offer our clients. Contact us today, shop our inventory, of visit one of our convenient Phoenix, Arizona area used car lots. We look forward to helping your purchase your next vehicle!